Aubrey Isaacs, AMHSI educator, who is leading the AMHSI Fall Semester this year, took the students to Poland last week. 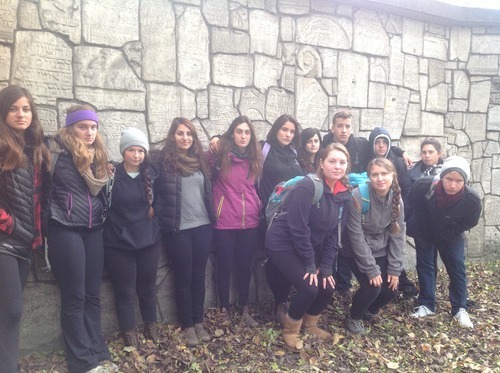 In a gist, on their trip to Poland, students got to travel to the Ghetto Wall and walk to the Rappaport monument on their first day. The day after, they traveled to Treblinka and had a lesson at the Catsle area in Lublin. The next day, they had breakfast near Yeshivat Hachmei Lublin. After breakfast, they traveled to Maidanek and Lyzhenk and then drove to Krakow where they spent the night. The last few days of this meaningful trip will be posted tomorrow when the students return.